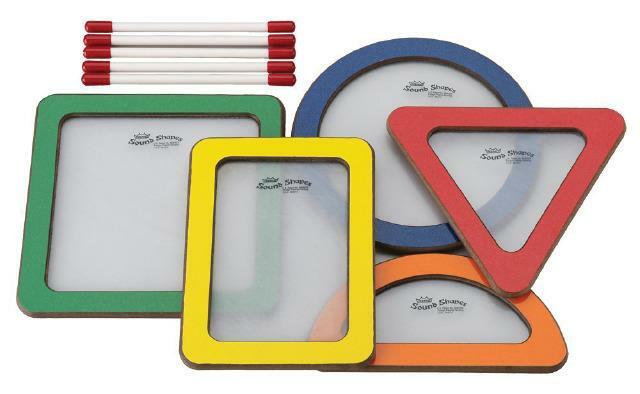 Shape Pack includes 5 Geometric Shapes and Sound Sticks: 9" Triangle, 9" Rectangle, 9" Square, 9" Round and 9" Half-circle. Colors vary. Made in the USA.